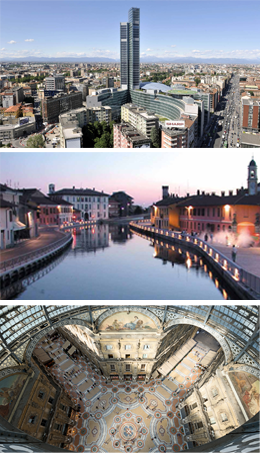 Milan is conveniently located in the heart of Europe and can be easily reached from all over the globe. You can reach the Campus by either the public transportation system or car. Take the Malpensa Express train that leaves Terminal 1 every 30 min. The trip lasts about 35-40 minutes and the tickets can be bought at the ticket office of Malpensa railway station. Get off at Bovisa station. Once outside, turn left and go down the stairs. 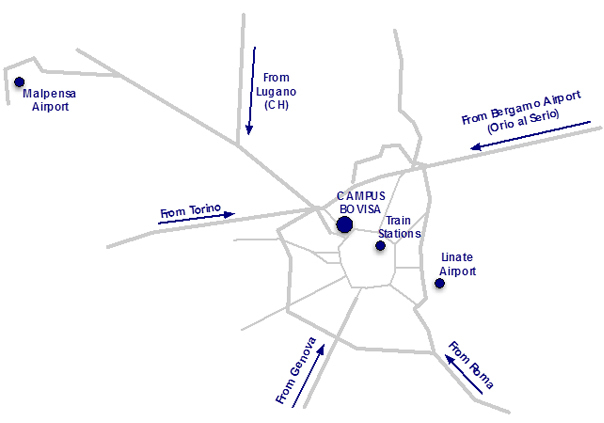 Then go straight through Piazza Emilio Alfieri and Via Giuseppe Candiani and, after the crossroads with Via Durando, you will find the main entrance of the Bovisa Campus (see the map). Taking a taxi from Malpensa Airport will not help you saving time (except in the late evening hours) and could be quite expensive. The “S” trains either stop at Bovisa Station. Then you can reach the Campus following the map.